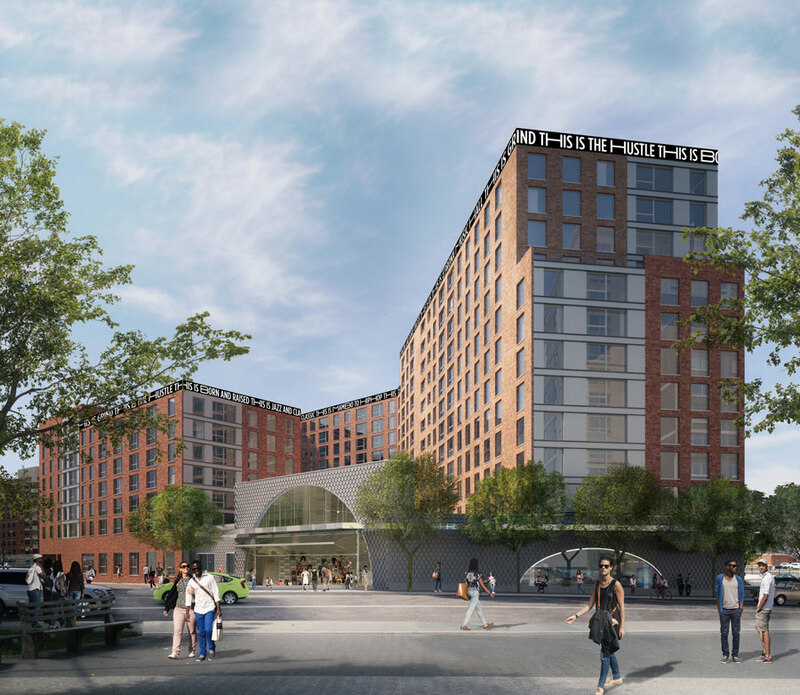 Today officials broke ground on Bronx Commons, an affordable housing complex designed by Danois Architects and WXY Architecture + Urban Design. 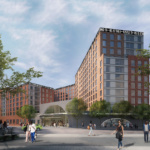 The mixed-use development, in the South Bronx‘s Melrose, includes 305 affordable apartments and is developed by local nonprofit WHEDco and BFC Partners in conjunction with New York City Department of Housing Preservation and Development (HPD). 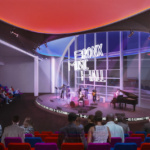 In a distinctive twist, the project is grounded by a 14,000-square-foot, 300-seat arts and cultural center and performance space. 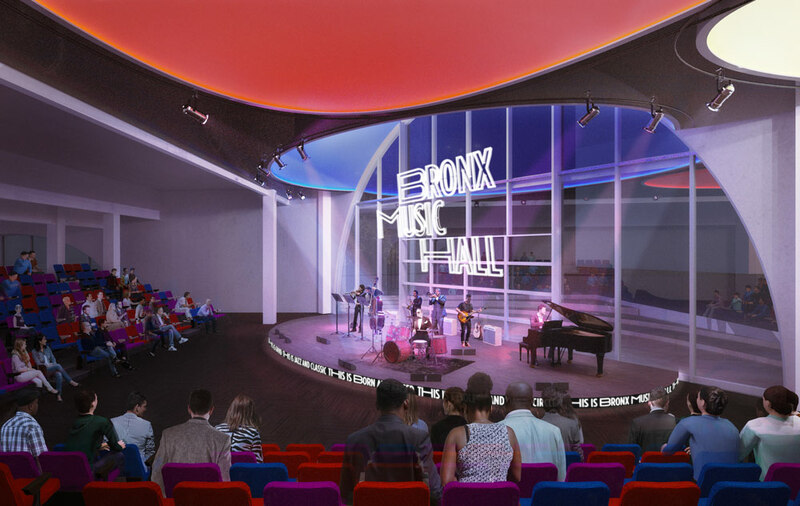 The Bronx Music Hall, which grew out of WHEDco’s storefront music “lab,” will bring programming to thousands annually and focus on nurturing the borough’s artists. A public plaza and 22,000 square feet of retail at East 163rd Street rounds out the program. True to its diverse programming, the project is being executed by three different New York firms. 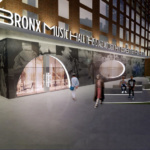 Danois Architects is designing the housing, while WXY and Local Projects are designing the Bronx Music Hall. The latter firm specializes in interactive media design and its work anchors the new and stellar permanent exhibition at the Museum of the City of New York. The 426,000-square-foot project is being built on vacant city-owned land, the last free parcel in the Melrose Commons Urban Renewal Area. The city is touting its “deep” affordability, with units for households making between 30 and 110 percent of the Area Median Income, or $22,032 and $89,760 for a family of three. The borough’s median household income was $34,299 for 2015.